With a modern rustic design and neutral finishes, Globe Electric's Winslow collection is the perfect complement to any decor. 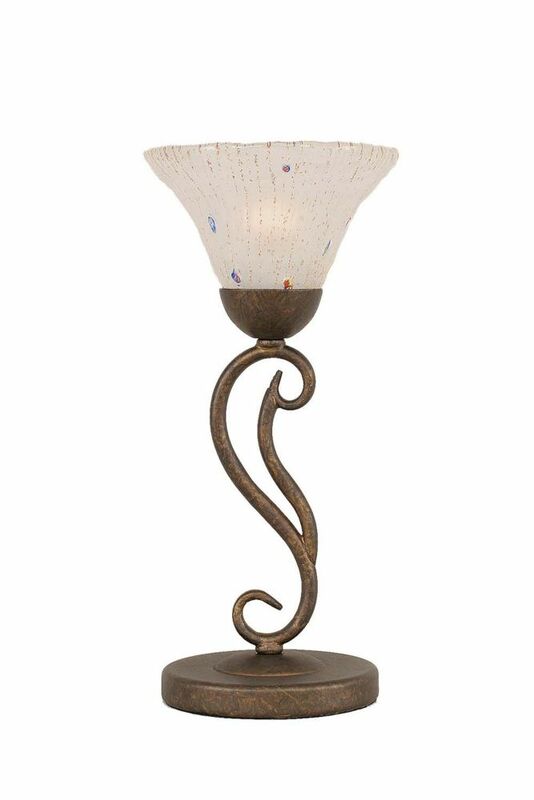 The 23-inch Winslow Table Lamp has an oil rubbed bronze finish that splendidly complements its unique curved shape. The exposed sockets allow you to add whatever bulb you like. Complete the look with a Globe Electric S-60 Squirrel Cage Vintage Edison Bulb or create a completely unique look with any other Globe Electric vintage Edison designer bulb! The Winslow Table Lamp looks beautiful on end tables in your living room, nightstands near your bed or on a table in your den. Requires three E26/medium base 60-watt bulbs (sold separately). Solid cubes and squares inspire the angular silhouette of this traditional table lamp. The soft gray and gold base of the decorative light fixture is carefully formed in resin to create a sculptural structure that supports a square white linen lampshade. Gold accents at the top and base of the accent light add a glow of warm metallic to the geometric lamp design. The Alhambra inspiration behind this decorative table lamp brings international design motifs to traditional interior illumination. An arabesque serves as the central figure for the iron lamp base, with repeating cutouts that surround the stand, sparkling beneath a champagne silver leaf finish. The champagne drum lampshade is crafted from supple velvet for lush texture and luxe sensibility. Incandescent bulb included.